How did you get started in publishing and what have been some of your career highlights? When I was a journalism student at Boston University I was fortunate to have a great internship in the art department at Boston magazine. Upon graduation they offered me a full-time job as associate art director. In a two-person art department, that was a pretty big first job. Through this experience I developed a solid general interest foundation which turned out to be very beneficial. • Reworking an entire issue of Talk magazine within three days, after the 9/11 attacks. 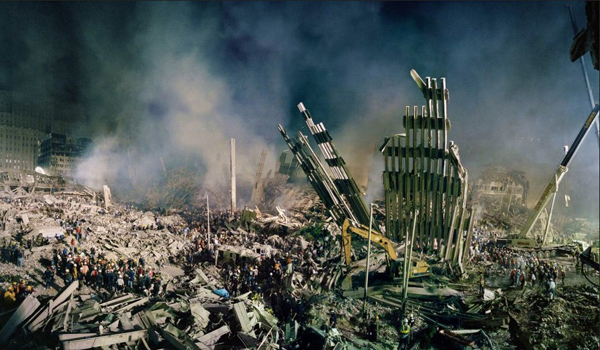 It included about 40 pages of new content, the most memorable being a portfolio of ground zero images by fashion photographer Stephane Sednaoui, who stayed on after his shoot to help the first responders recover victims. 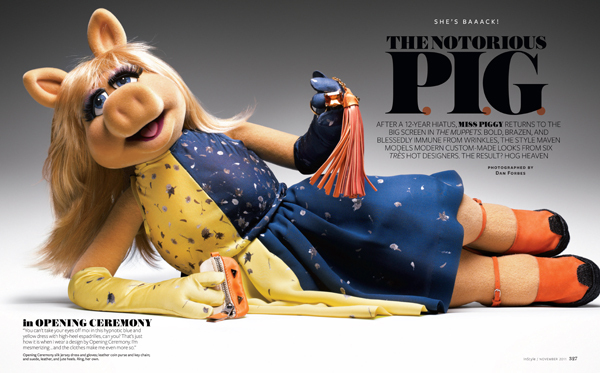 • Meeting Miss Piggy. I even got to rifle through her personal accessories so we would be prepared on the day of our shoot. Did you know that her pearl necklace never comes off? • Meeting my husband at Us Weekly magazine! • Having an all-girls dinner in Paris with the fabulous Cameron Diaz and our crew after a recent cover shoot. (We’ve had three cover shoots together). What are your core responsibilities as Creative Director at InStyle and who is part of your creative team? I am responsible for the visual presentation of the brand across all platforms. This includes typography, composition and photo direction. My team is composed of art directors and photo editors. I also work very closely with our fashion director and style director. How does InStyle differ from other publications you have worked at, what is unique about the culture of the brand? First of all, it has more pages than any other publication that I’ve ever worked on, and actually more pages than any other magazine, period. The staff is not particularly large but they are extremely efficient and experts at what they do. Our editor-in-chief, Ariel Foxman, is very clear about the direction of the brand and that makes my job much easier. Whether I’m art-directing a celebrity cover shoot, collaborating with Nine West on a co-branded capsule collection of shoes, or working on animation for our tablet edition, I know exactly what his goals are. We always achieve a stylish, modern, inspirational message. Across all platforms, we know our audience very well and deliver what they want. Tell us about your greatest design challenge. 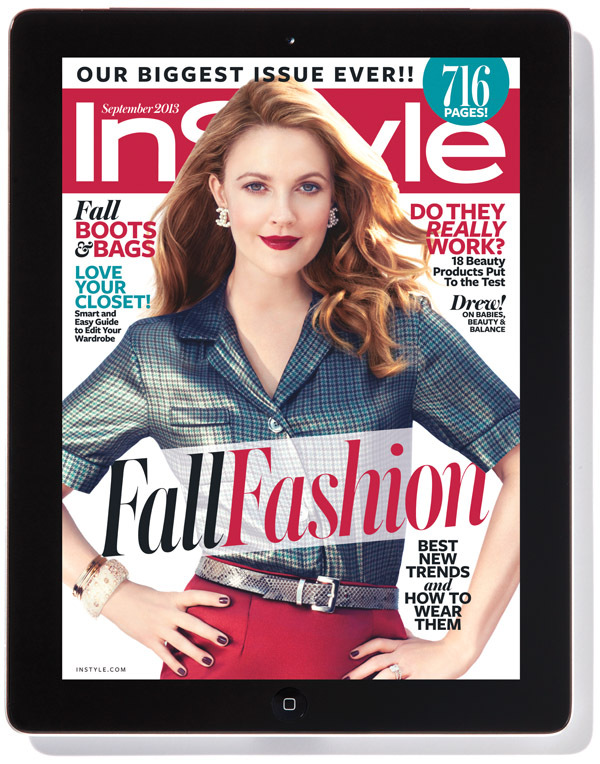 Publishing InStyle’s first-ever September issue for tablet. We had to translate 652 print pages. I thought my iPad was going to explode during the first download. 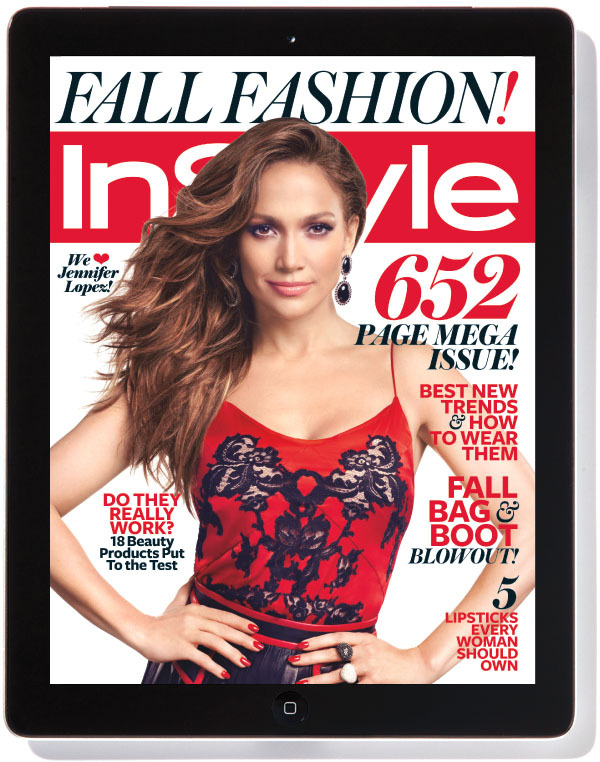 How would you describe InStyle’s current visual identity? 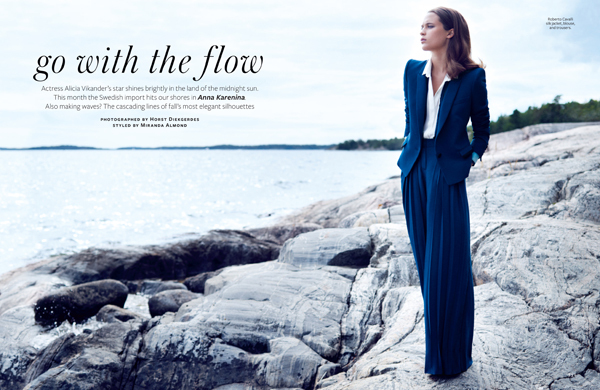 InStyle is clean, clear and modern. That sounds a bit like Lucite but in fact, the design is very multi-layered. 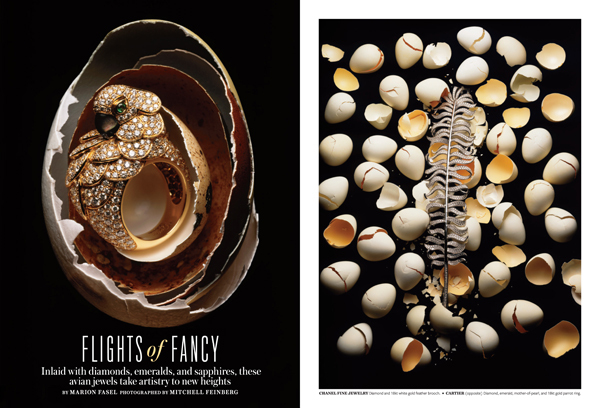 Our imagery is bold and exciting, and the design allows it to shine. So much of what we do is about informing and instructing our audience, so the message always needs to be easy to find. Which photographer(s) or illustrators(s) work do you most admire and what core qualities do you look for when commissioning for InStyle? Whose work do I admire? The list would be quite long, so I’ll call out the incredible talent I’ve been working with lately, which includes Michelangelo Di Battista, Giampaolo Sgura, Liz Collins, Horst Diekgerdes, Matthew Brookes, Jan Welters, and Emma Tempest. 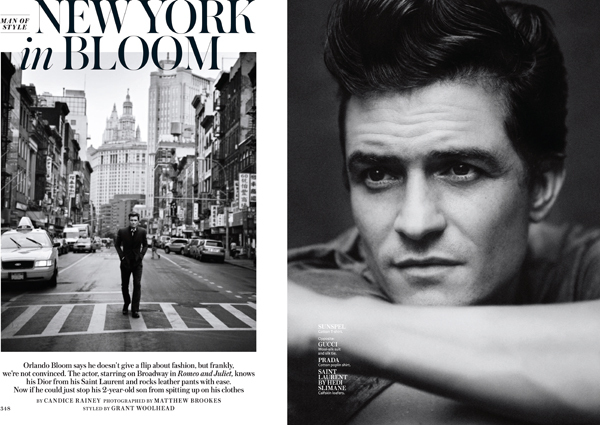 At InStyle, we shoot only celebrities. For fashion, I look for photographers who can shoot what I call “fashion portraits.” These portraits need to reveal the celebrity’s personality in fresh, new ways. Sometimes we develop a cinematic theme, creating a role that the celebrity can play by telling a visual story. For still-life, I want things to be really lush and lustful, while still clearly showcasing the merchandise. I love working with Mitch Feinberg, Dan Forbes, and Ilan Rubin, to name a few. 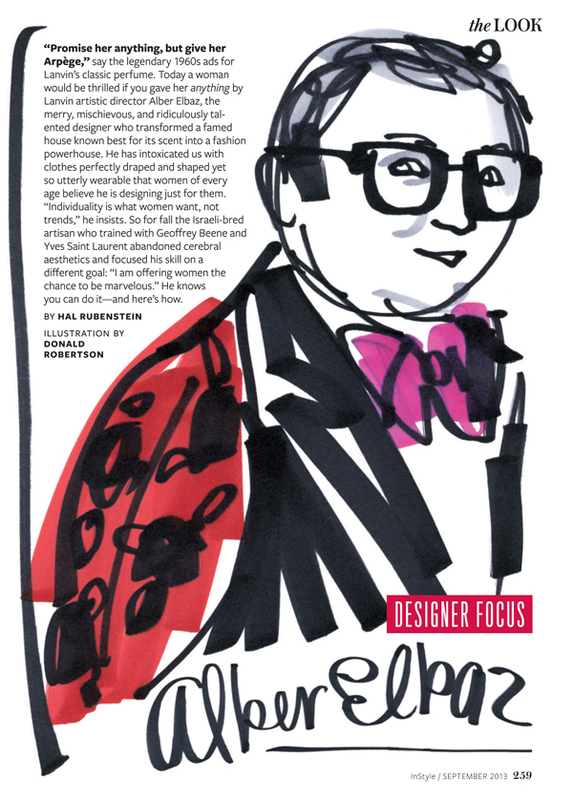 InStyle has always been a photography-focused brand but lately I’ve also had a lot of fun collaborating with creative director/illustrator Donald Robertson. Which shoots stand-out for you? Every single one is a memorable experience in some way (as a bonus, I learn tricks such as how to create the sharpest cat-eye). Overseeing two InStyle cover shoots with Julianne Moore has definitely been a career highlight. The first time I worked with her we spent most of the first day talking about work/life balance. I was a new mom and she had many years of experience to share. But once she was in front of the camera, she owned it. Photographer Michelangelo Di Battista captured an elegant, confident woman. This past summer we had a magical day at The Philip Johnson Glass House (in New Canaan, CT), captured by photographer Giampaolo Sgura. Another amazing InStyle shoot took place 4,256 miles from New York, when the legendary makeup artist and photographer Francois Nars captured Chloe Grace Moretz on his private island in Tahiti! Which issue are you most proud of and why? September 2013. It is our largest issue ever. It took a lot of extra attention to detail to ensure that an issue so large had the same pacing – and moments of delight and discovery – that we deliver monthly. Our team really hit their stride and delivered amazing work, cover to cover. Who have been some of the most influential mentors during your career so far? 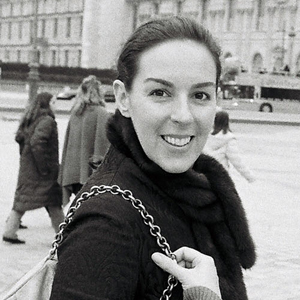 Martha Nelson (former editor-in-chief of Time Inc.) took a chance on me. She named me the first creative director of People magazine when I was 31-years-old. She always trusted my opinion, or at least heard me out before making decisions, and she felt like a real partner. She taught me that we are in control of our decisions. At InStyle, I am fortunate to work very closely with Ariel Foxman every day. He pushes me to want to be better. With him by my side, I often feel that anything is possible. Do your research, cross your t’s, dot your i’s, and you’ll find a solution to almost any problem. What advice would you offer young creatives looking to get into magazine publishing? Get an internship, do way more than is expected of you, arrive early, stay late. Once you’ve completed your assigned tasks, do fake mockups of features and share with your supervisor. Try to get a taste of the whole process. WORK HARD! This entry was posted in Editorial on November 13, 2013 by Creative Interviews.